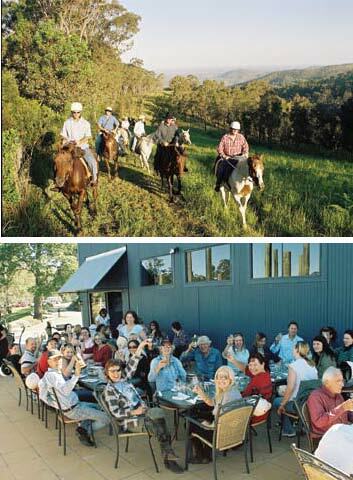 Let Slickers Horse Riding at Oceanview, 45 minutes north of Brisbane, take you on a truly extraordinary journey through the scrub. Whether you’re an avid rider or you’ve never ridden before, the team at Slickers have a horse to suit any ability on their 3500 acres. Each weekend the team at Slickers take riders on a two to three hour trek from the property at Oceanview to the local winery and the scenery along the way is beyond words. From rainforest, through valleys and creeks up to mountain tops overlooking the countryside all the way out to the coast, they don’t call it “Oceanview” for nothing. Take in Queensland’s most spectacular landscape -you’ll have plenty of photo opportunities although no picture will do the scenery justice. During the ride, make friends with other riders as well as the guides who’ll make sure you’re comfortable at all times. Should you feel a little more adventurous, you can always hang back and go for a trot or a canter as well. Then of course for those who consider themselves competent horse riders, the owner of Slickers himself, Daryl Davies, will take you with the experienced group – a much faster ride. 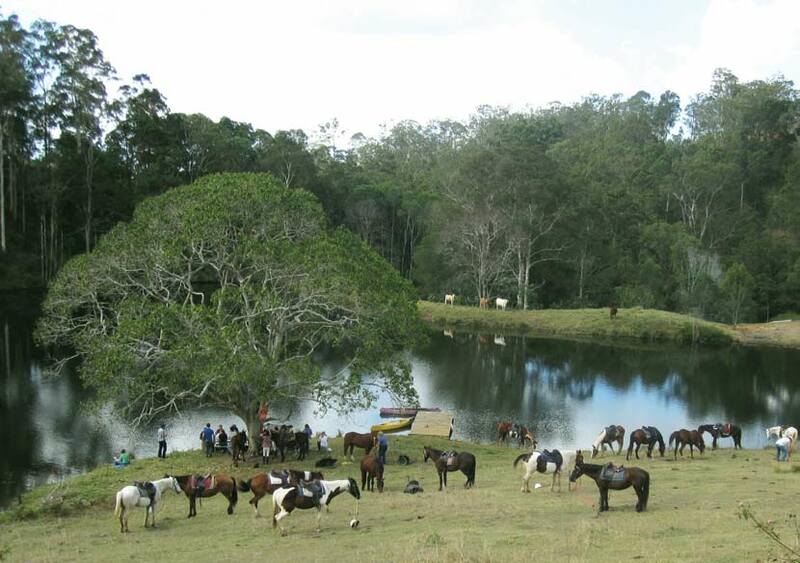 There are also adventure property rides on offer where they’ll take you up gullies, down valleys and over rolling hills for roughly 2.5 hours, finishing up at a beautiful dam with a picnic. to view more on the pub ride go to the Activities page.